I have written about VEFAR about 3 years ago and now I am back and much have changed. Benito's Farm is a passion project of Mr. Hermie Claudio, a nurse by profession and a passionate tilapia farmer. Yes, I have been using passion and passionate a lot with him, but that is how the owner is as I continue to talk with him. The newest addition to the farm is their own feeds making facility, they make their own feeds for the tilapia. During our recent visit, they are developing the "tuburan" or fresh flowing spring water within the property. And I can say that its really COLD in there. I tried dipping my feet and it gave me some relief. 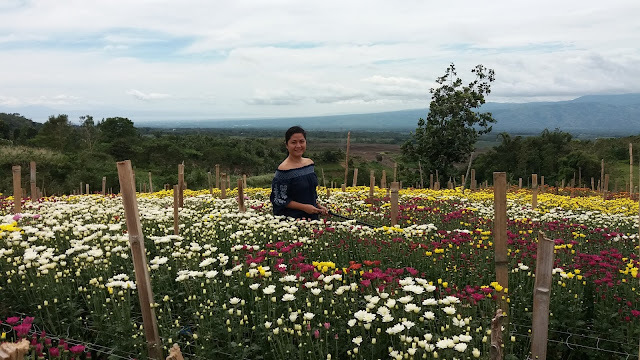 Benito's Farm is located in Sitio Tucalabong, Brgy. Crossing Rubber, Tupi, South Cotabato. You can contact Mr. Hermie Claudio before visiting the place for them to be able to prepare at 0998-579-5029.